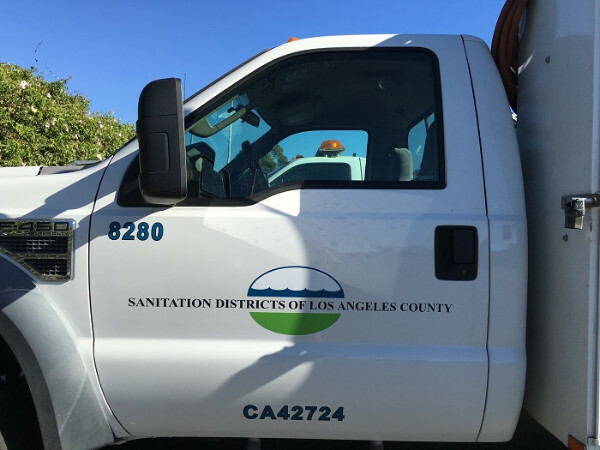 The Sanitation District of Los Angeles County handles wastewater and sewer system maintenance as well as solid waste and recycling plant management. Plenty of work is done in the field, on site and as the result of requests from residents or local business owners. Identifying the professionals is easy because the trucks are outfitted with fleet vehicle graphics. 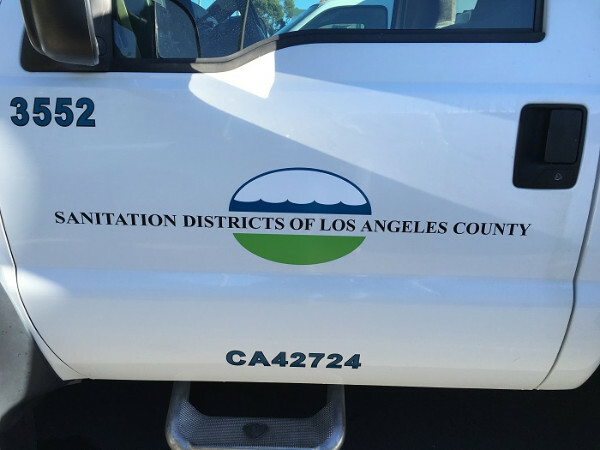 In Orange County, CA, consumers know to look for the district’s emblems on the doors of the work vehicles. Fleet graphics are one of our specialties! If these signs do not look professional, they reflect poorly on the district as a whole. When representatives of the Whittier office visited our shop just recently, they showed us the problems that their decals were experiencing. Also, they cited vendor problems, quality issues and turnaround times as reasons for wanting to make a switch to a new sign shop that could accommodate their needs for excellent vehicle signage. When you manage a fleet of any size – particularly one as large as the one relied upon by the Sanitation District of Los Angeles County – you need a sign shop that gets the work done on your terms. You do not have time to work around supply or quality problems. Instead, you meet tight deadlines and expect that your signage professionals do the same. Often, you just need the right sign company! Our graphic artists and installation technicians exemplify the answer to a fleet manager’s needs. Easy to work with, professional and outfitted with a shop that uses only high-quality materials and the latest equipment for excellent quality, we meet your needs and exceed them. We also work to solve problems. For example, the last decal setup required a wet installation technique that is iffy when performed by those who do not routinely work with the medium. Since the district expects some employees to self-install decals on an as-needed basis, the products did not always look their best. We suggested the switch to an application tape setup, which is a lot easier for those who only occasionally perform installs. The trick here is the use of 3M vinyl that features air release channels. All your fleet graphics will match exactly! After their last bad experience with a signage shop, the district needed more than words. Representatives brought over a test vehicle to show how the tape application would look when compared to the other product. The reps also wanted to gauge just how complicated this new process would be. They were impressed with the new look and ease of installation. We are currently in the process of installing decals on about 200 vehicles. We will also train a number of employees on how to handle self-installs with ease. There will be no more peeling corners, unsightly tears in the vinyl or delivery issues. 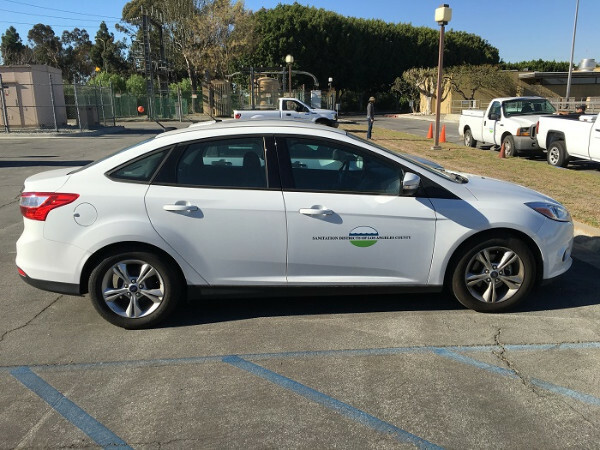 If you have been thinking of treating a fleet of vehicles with decals, lettering or graphics packages, do not leave the quality of the design, product or installation to chance. Instead, discuss your graphics needs with our professionals. In fact, bring one of your vehicles by so that we can show you exactly how we plan to serve your business. Contact us today to set up an appointment.